Sterling Silver Wingspan Bracelet by Metal Arts Group. 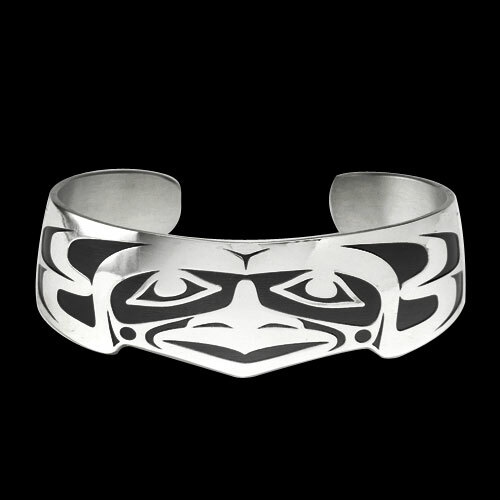 Seen as a symbol of strength and endurance in many legends of the Pacific Northwest Native. This is due to the many long-range birds dependent on wing spans to maneuver through the harsh conditions of their environment. 6.5 x 0.9 inch Sterling Silver Wingspan Bracelet by Barry Herem. Made in USA. Fits a 7.25 inch wrist.